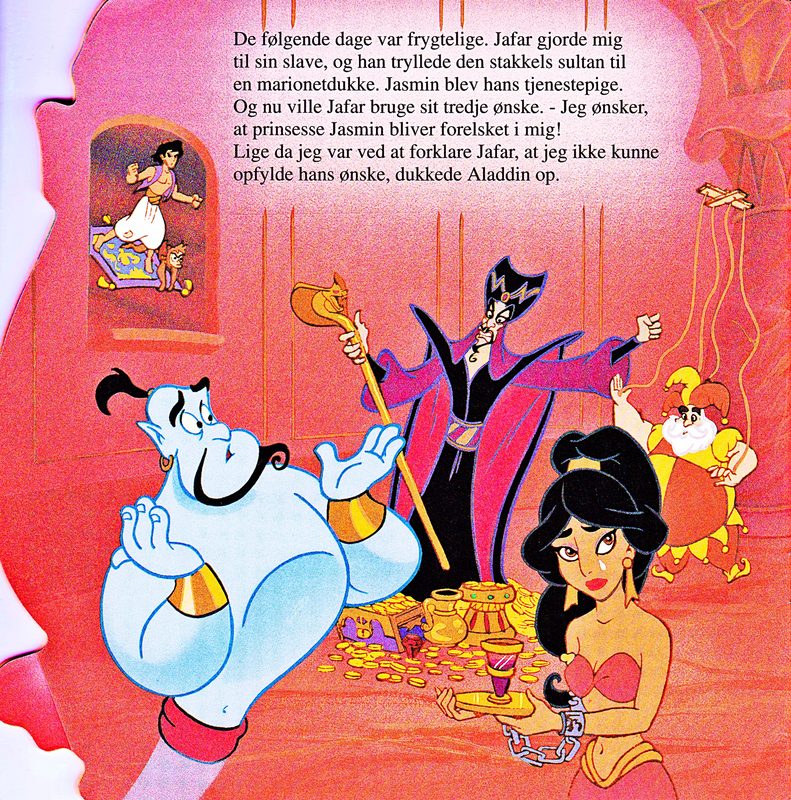 Walt Disney Book Scans – Aladdin: The Genie’s Story (Danish Version). 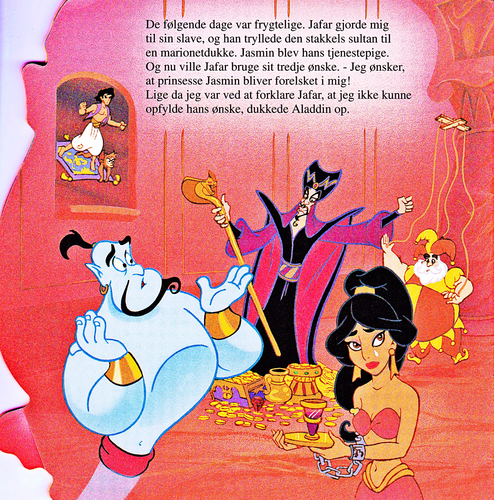 Walt Disney Book Image of Prince Aladdin, Abu, Carpet, Genie, Jafar, Princess gelsomino and The Sultan from the Walt Disney Book “Aladdin: The Genie’s Story” (1993). HD Wallpaper and background images in the personaggi Disney club tagged: walt disney characters walt disney book scans aladdin: the genie’s story prince aladdin abu carpet genie jafar princess jasmine the sultan.